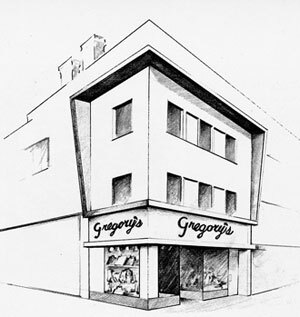 We’ve talked quite a few times about Gregory’s Menswear that used to be on North George Street in York, and today’s letter from reader Clarence Bosserman Jr. of York adds even more detail in a particular area regarding Gregory’s – its employees! I don’t have any idea how Clarence remembered that – his letter didn’t say if maybe he was also a former employee? – but WOW. That’s great!